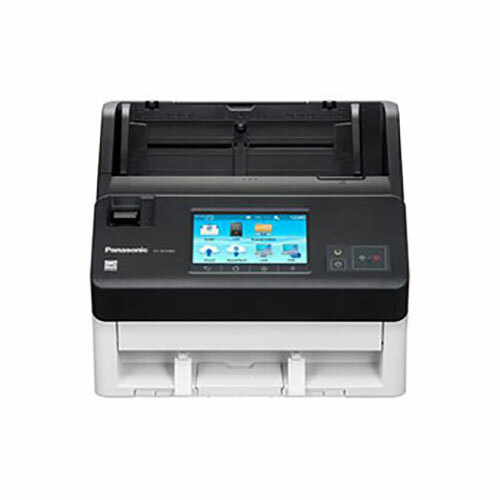 The DR-3010C has been tested for compatibility with many of the industry's leading electronic document management solution providers.  Please click here for a comprehensive compatibility listing. 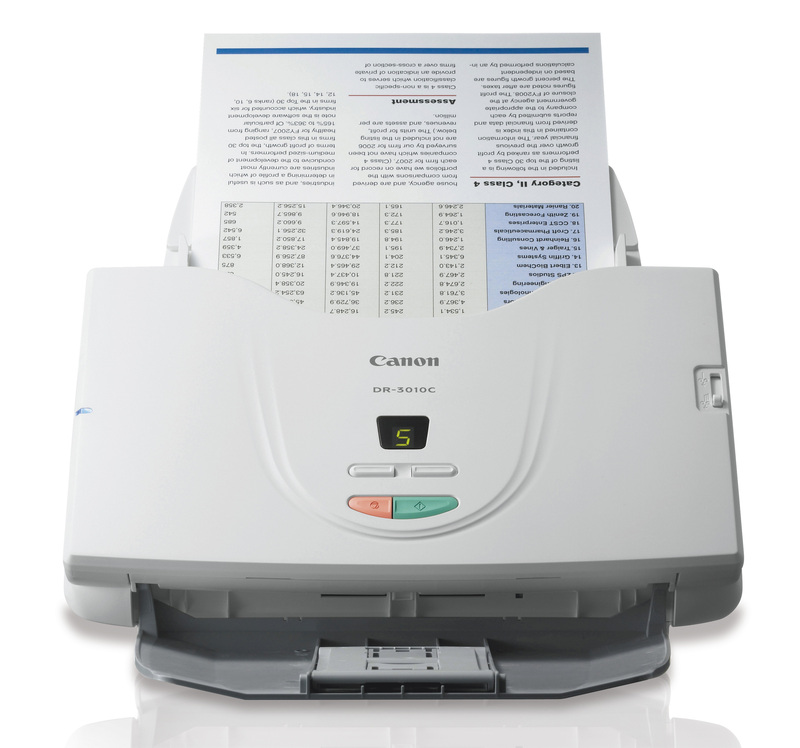 The DR-3010C is Canon's fastest workgroup scanner. Due to an improved image sensor and new high-brightness LED, this scanner boasts impressive speeds of up to 30 ppm and 60 ipm. 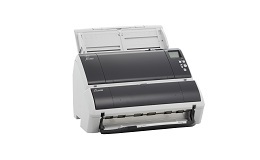 The DR-3010C provides fast connectivity with a Hi-Speed USB 2.0 port so color documents can be scanned just as quickly as grayscale and black and white. 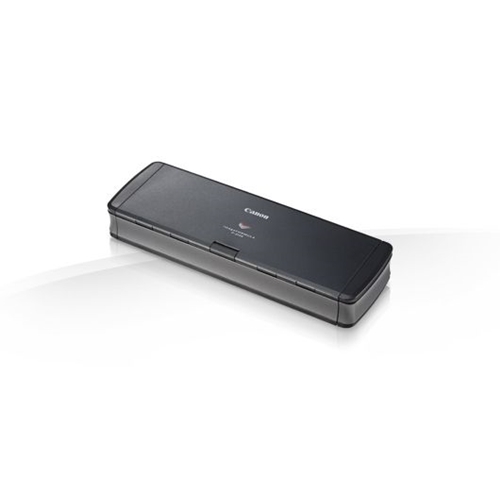 The Canon DR-3010C scanner features a robust, solid-body design with a heavy-duty feed tray and rugged parts for the utmost in reliability. And features such as a slant paper path, Ultrasonic Double-Feed Detection, and Rapid Recovery deliver dependability by ensuring that each and every page of a batch is scanned. You get intuitive access to nine pre-registered scanning functions through an all-new Scan-to-Job panel for enhanced ease-of-use. 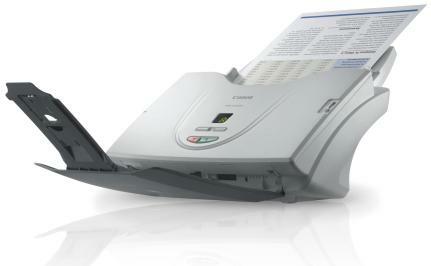 The DR-3010C scanner's LED display indicates the current Scan-to-Job button and enables user-friendly scrolling through these buttons for one-touch operations, such as Scan-to-E-mail, Scanto-Print, and other routine scanning tasks. 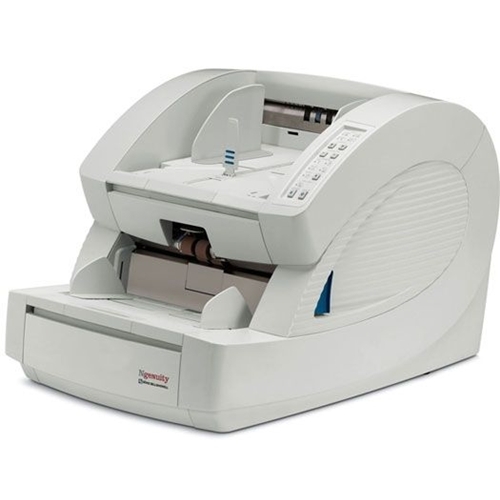 The small footprint, light weight, and versatile tray design of the DR-3010C scanner make it ideal for use on desktops, countertops, or anywhere space is at a premium. ADF Feeder Paper Size Width. 2 x 2.1 "
Comes bundled with Canon CapturePerfect 3.0, Adobe 8 Standard, Presto! BizCard Reader 5 SE, PaperPort 11 Standard, and OmniPage SE.